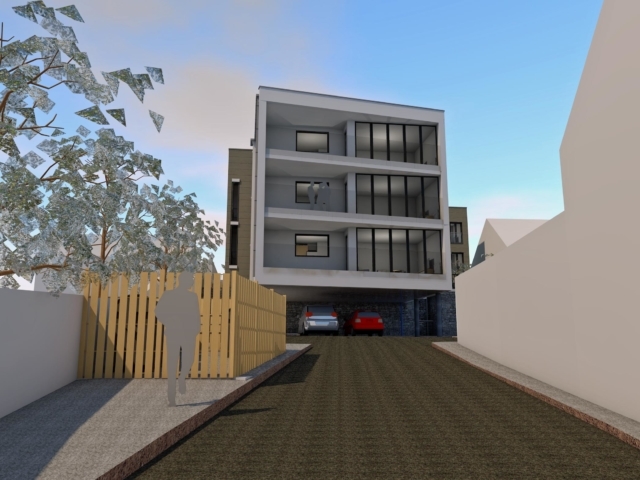 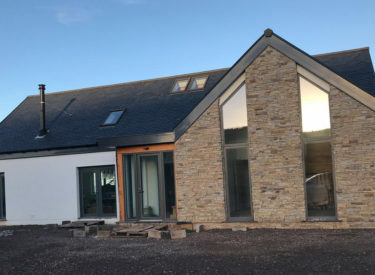 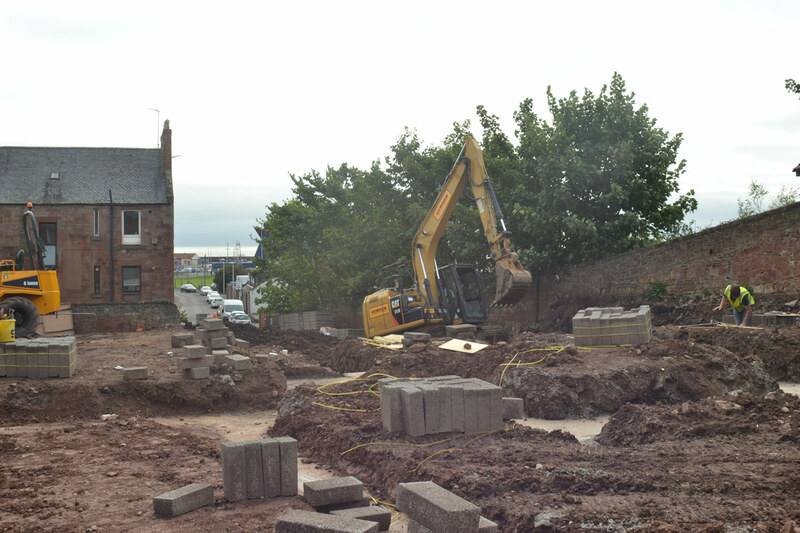 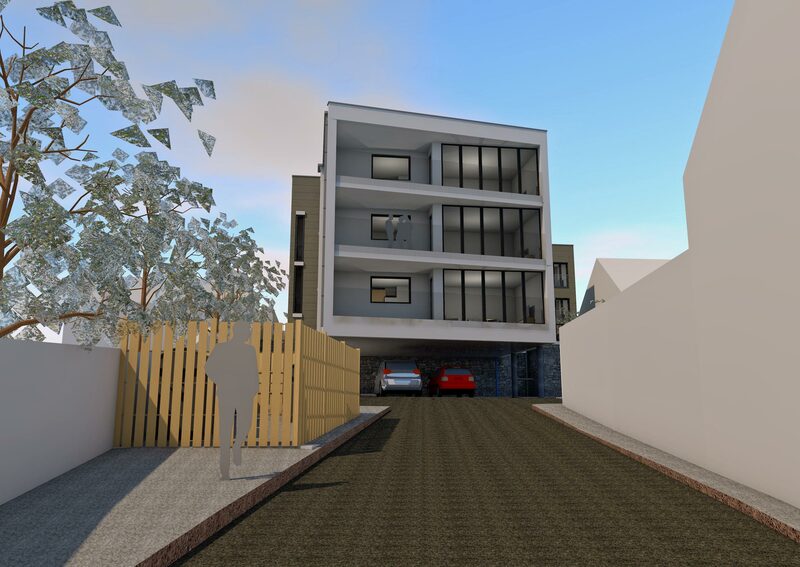 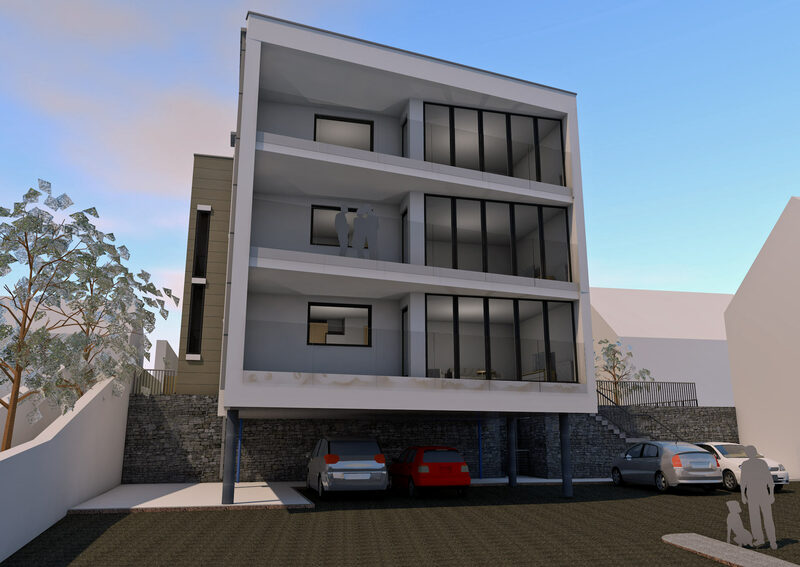 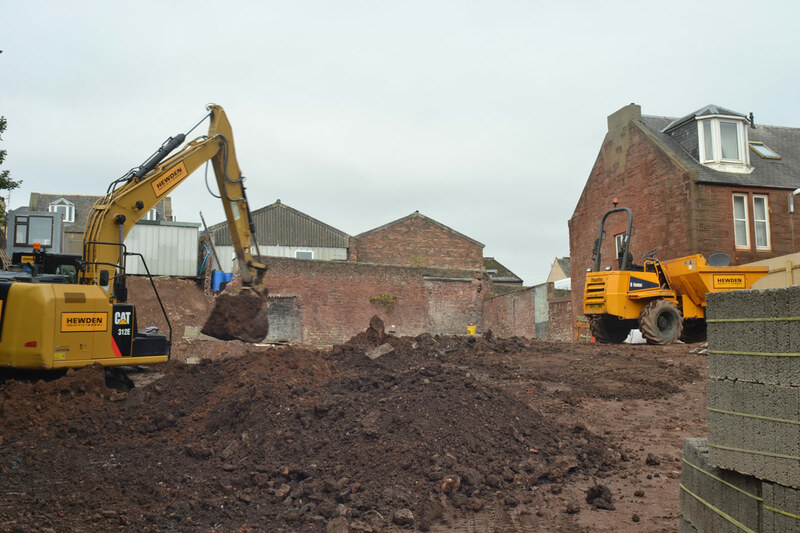 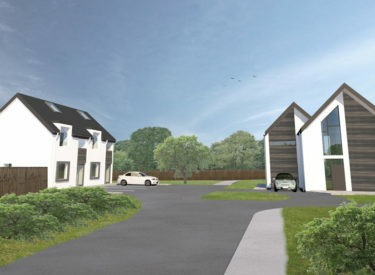 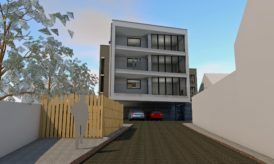 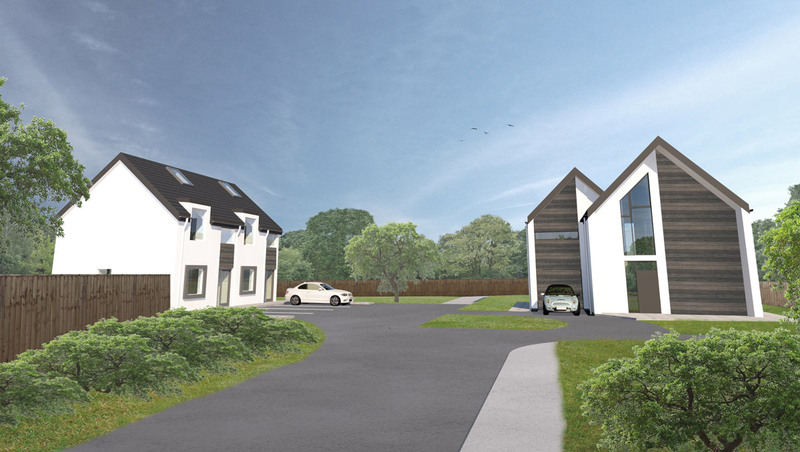 ACA’s second commission with McCallan Homes, has involved designing a development of twelve 2-bedroom flats in Arbroath, Scotland. 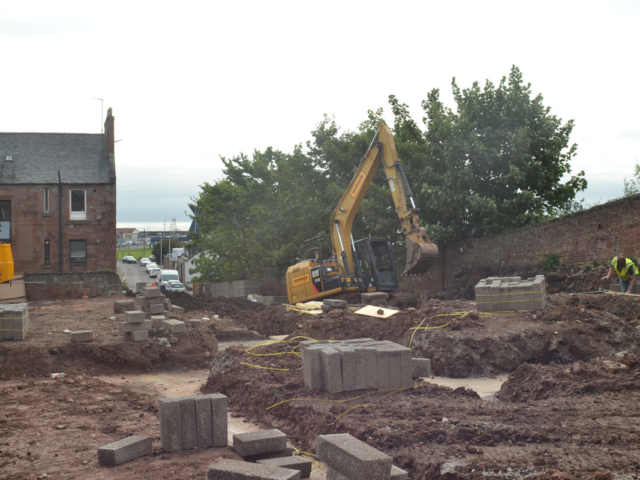 The brownfield site was a former pub and hotel, which had fallen into disrepair. 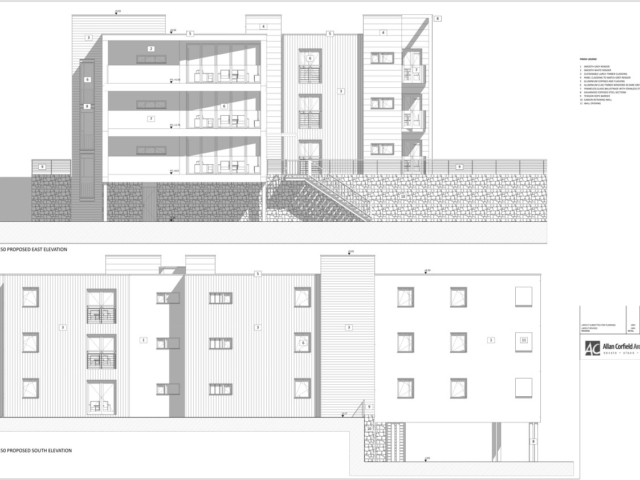 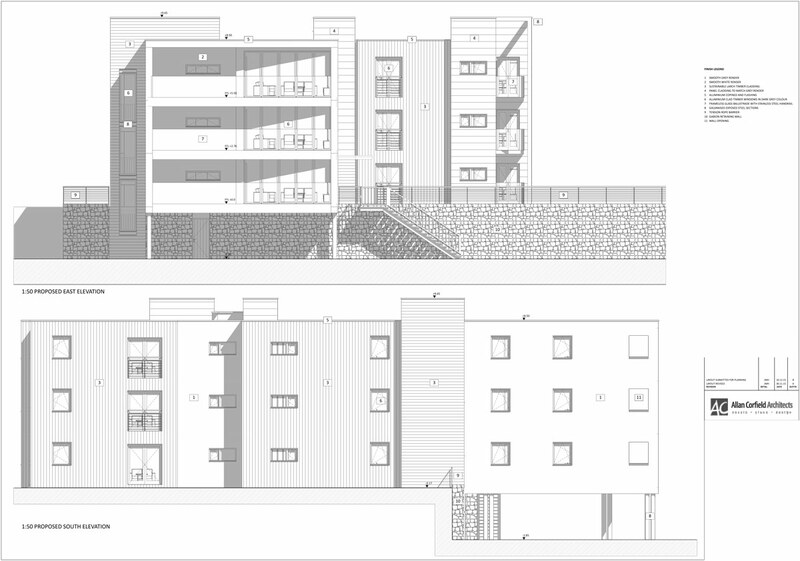 The proposed regeneration of the site with the contemporary scheme was supported by the local planning team. 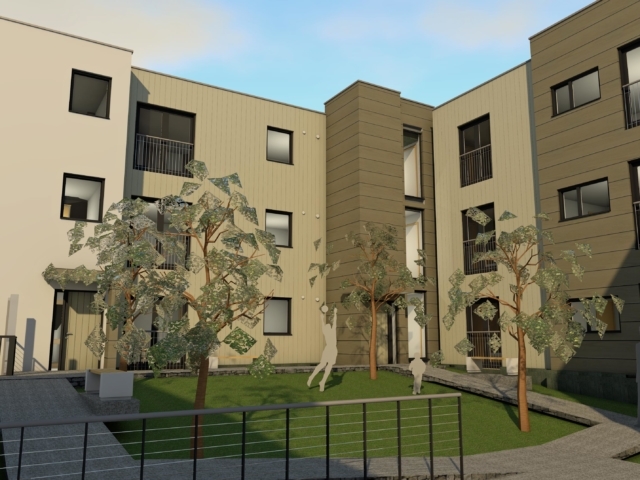 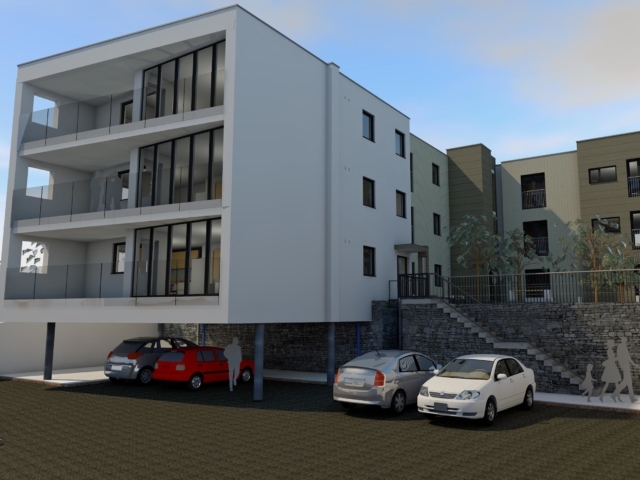 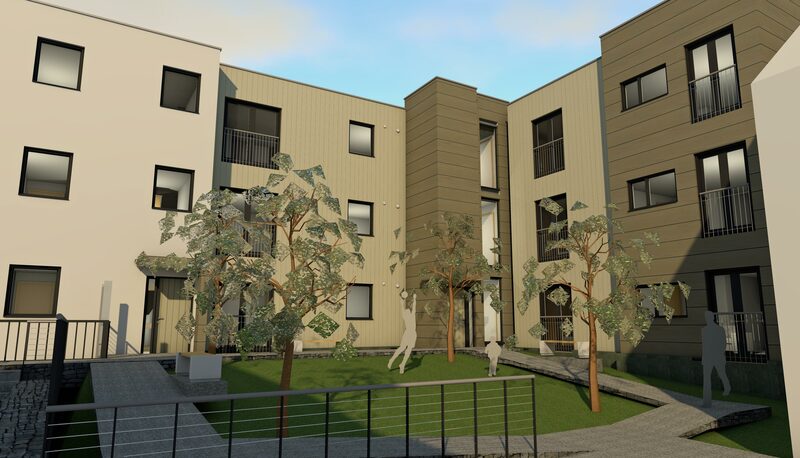 As McCallan Homes are experts in Constructing Modular Homes, the flats were organised in a way which maximised construction efficiencies, for the off site construction method. 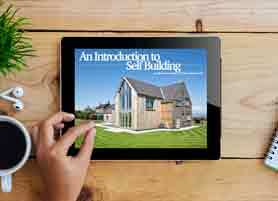 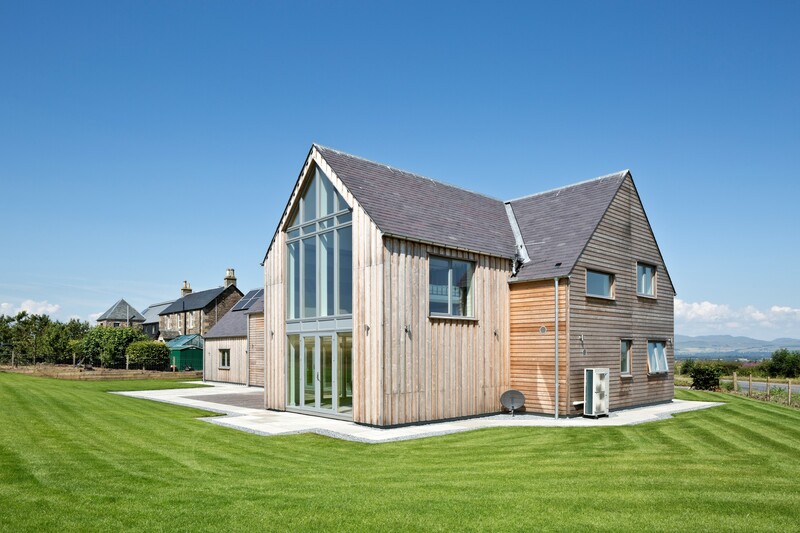 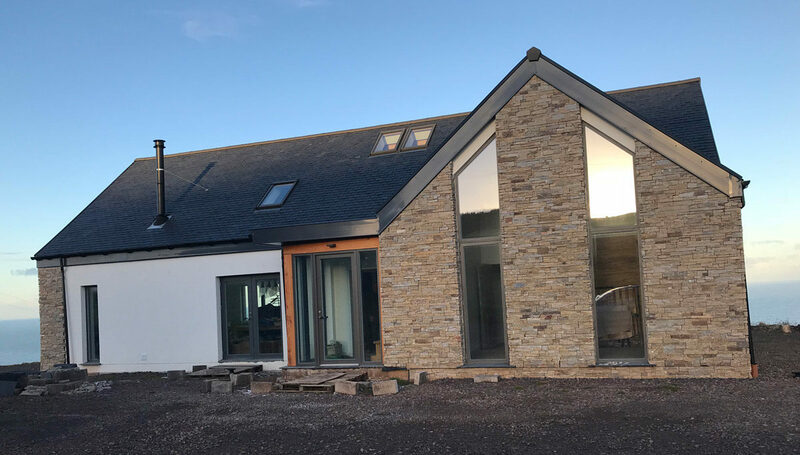 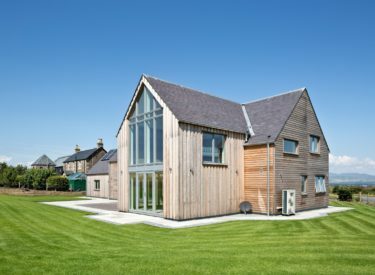 The modular flatted development has a main structure, designed to utilise the energy and time efficiencies gained by using the SIPS panel system. 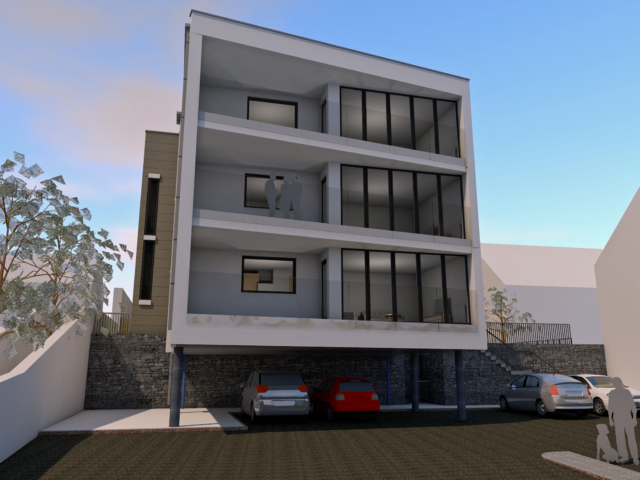 Each flat is divided into (on average) 4 modules; these will be fully fabricated in the factory and transported to site. 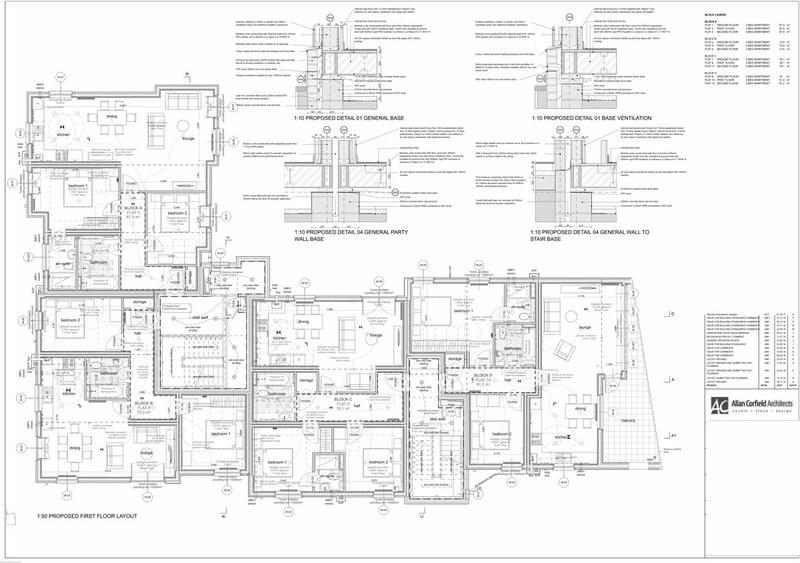 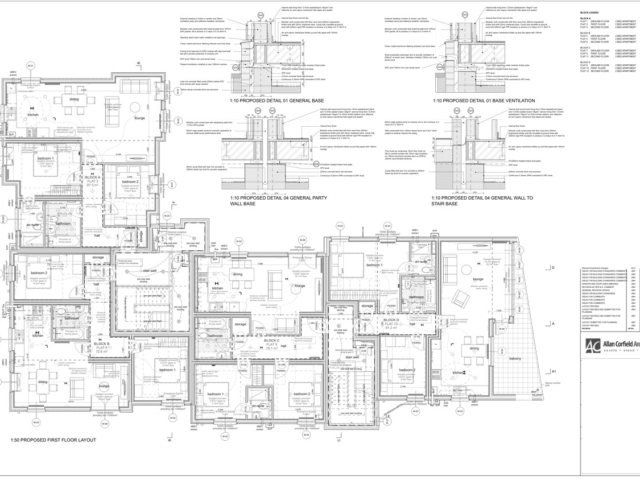 This will include the fitting of flooring, electrics and plumbing (including bathrooms). 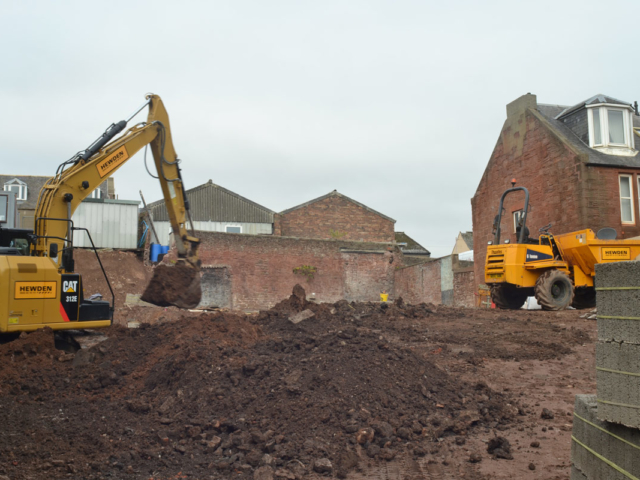 The quality and accuracy of work completed in the factory will mean that the onsite works will be limited, and this will reduce on site costs and time significantly. 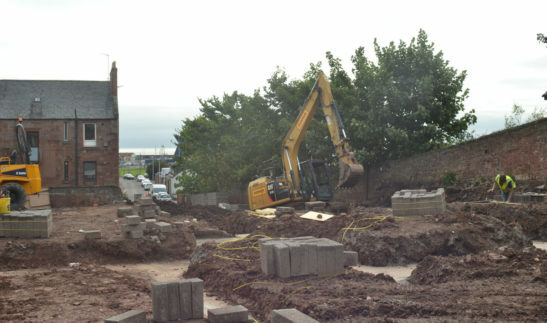 The existing buildings on site were demolished in March 2015, with the first modules constructed and tested in early July 2016. 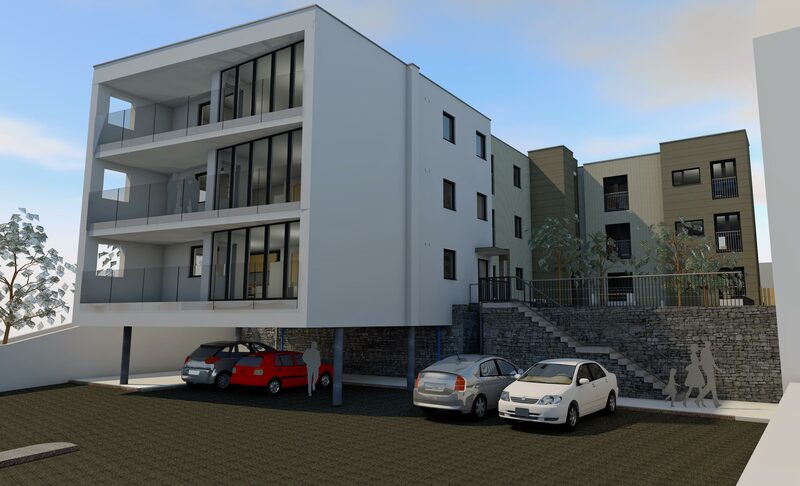 The development should be completed by the end of 2016. 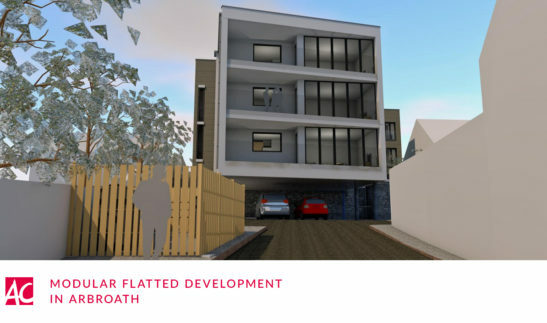 You can see ACA’s other work with McCallan homes – another Modular Flatted Development – by clicking here!